They enable a Contact Centre operator to open a client conversation with a clear and purposeful introduction and guide the call towards a pre-determined outcome. Enable Contact Centre operators to stay focused, avoid unnecessary small talk, and confidently answer questions and objections. Prepare staff members to speak with clarity and confidence and prevent campaign conversations going off-track. Remind staff to address key issues and essential information. Call scripts produce improved client interaction and sales performance. Staff use them as guides and not as presentation blueprints. Using a call script to launch into a verbose presentation will end with a dial tone that signifies that the called party has hung up in frustration. The call script allows the operator to pause, answer questions, and comment on interjections the client makes. Once interruptions are handled, it steers the conversation back to its intended purpose. Clarity in conversation comes from practice and role-playing. Operators should practice reading the script to ensure they can pronounce all the words in the script clearly. The scriptwriter should monitor calls and ensure that the script is clear and uses simple, conversational words. The script should use short sentences and typical every-day expressions that people use in conversational mode. This call may be monitored for quality purposes, a legal requirement for call monitoring. 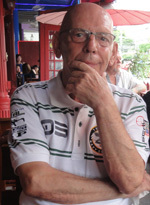 If in doubt about call scripts, take note of Steven R. Isaacs, known as a telemarketing guru. 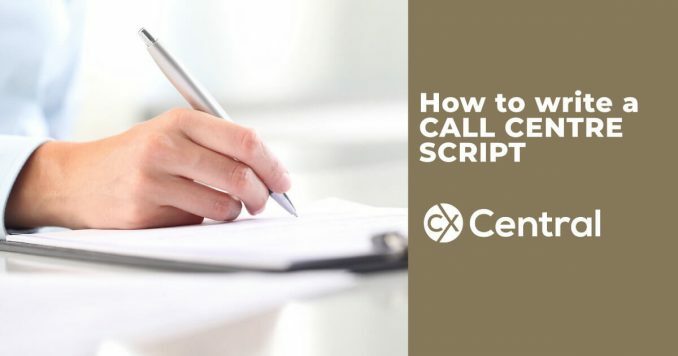 A good call script prepares an operator to speak in a professional and personable manner. The script uses natural, spoken language and a few ums and ahs are not out of place in the script. The operator allows the called party time to talk and ask questions but the script has provisions for steering the conversation back on track. Improved confidence in making outbound calls. Enhanced customer experience and customer satisfaction. Legal requirements stipulate that the caller must introduce him or herself and the company they represent, state the purpose off the call and ask permission to continue the conversation. Its main purpose is for the receptionist to put the call through to the person listed on the call list, or to schedule a return call. When put through, the script contains a brief thank-you for taking the call. The caller then introduces him or herself with name and company name. The system should have a Data Merge function that automatically inserts the name of the called party into the call script. The script then explains the purpose of the call. Some countries stipulate that the caller must ask the recipient for permission to continue with a presentation. The typical Script may read: With your permission, may I ask a few questions and see if theres anything we do that might be of benefit to you. A quick Do You have a moment to speak? remark may also suffice. The script should articulate one or more benefits and be placed where they best fit the conversation. Explain what you offer and how you can help the client. Suggest additional questions aimed at learning more about their current situation and competitive stance. A good CRM or Knowledge Management System has a script module for inserting branch links. These are links that take the caller to a different part of the script. A good call script has segments on how to handle questions, interruptions, and comments that the client raises. The scriptwriter should plan and predict what kind of questions or comments the client is likely to raise and insert script branches that enable the caller to respond AND steer the conversation back on track. If the customer declines to continue the conversation, ask if you may call back in say 3 or 6 months to explore any interest in your product or service. Writing a call script requires careful planning and preparation. A good scriptwriter works on a foundation of customer empathy. The writer must consider the customer experience the script produces. There is no call for the client to adapt; it is up to the caller to show consideration even when the script attempts to steer the conversation in a prescribed direction. A receptionist answers the call and the first task is for this person to put the call through to the person whose name is on the campaign list. This is likely to be the first challenge to overcome. Expert advice is not to state the purpose of the call as this can invite an immediate rejection from the person you are trying to speak to. Set clear call objectives. What is the desired purpose of the conversation? Do not expose the Contact Centre agent to the discomfort and frustration of calling the wrong people. Identify the target audience and build a campaign call list with people who will be interested in sharing the subject of your proposition. Consider what knowledge people on your campaign list have about your proposition? Are the people on your campaign list decision-makers, or are they likely to delegate the call to another person? Identify words and expressions to include in the script and ensure they fit in spoken language. Use strong words instead of vague words like maybe or perhaps. Identify points in the conversation where you can insert call-to-action. Ensure that the proposition made  the offer – fits with the call objective. Remember empathy and write scripts that present the caller as somebody who shows understanding and acceptance of the clients interests, needs, and current position in the marketplace. Tailor the script content so that the caller comes across as an enabler and facilitator rather a hard-pushy salesperson. Make the dialogue personal by using words like you/your, I/me/my, we/our/us. Never write a call scripts that anticipate how the client might react. Nobody can write a perfect call script off the cuff. Scriptwriters refine the script based on feedback from role-playing or from live calls. Identify areas where the caller stumbles, areas where the conversation sounds unnatural or canned. Review and ensure the introduction is as good as possible. Identify where to insert branch conditions with script segments to handle interjections, questions, and interruptions. Once implemented, monitor calls with real clients and change the script based on observed user experience. When asking new agents to use the script, get them to practice and role play with another agent. Ensure that agents handle to call introduction in accordance with legislation by asking the called party if they may proceed with the proposition.